Wow - incredible movie last night. I love going out with my wife. So we were talking about it in the car on the way home and both of us felt some lingering discomfort. The story is fantastic - melodrama would probably be the best genre, for at least the basic plot. Everything works out for the protagonist. (you might argue with me on this point...that's ok, I don't care! grin!) 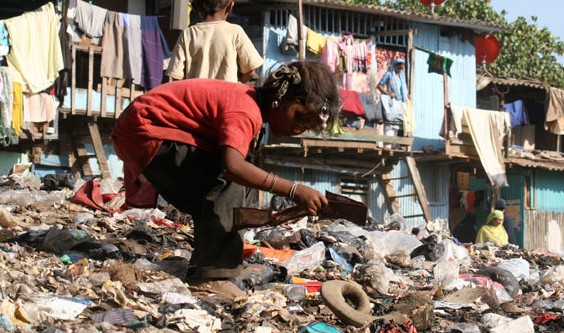 The shots of the slums are incredible and disturbing. I've just done some web reading and it is pretty interesting all of the discussion around the movie. Especially the fact that the young children in the movie were from the slums. I think amidst all the controversy two things stand out to me. 1. No one should have to live in a place like this. 2. Increasingly I am feeling like I need to be involved with people's lives not their houses. I know I will regret it if I don't.